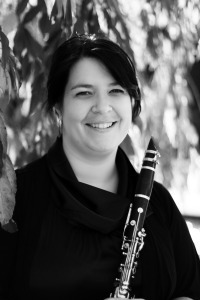 Founder of Clarinets for Conservation Michele Von Haugg (DMA 2017) is a native of East Berne, New York, USA and currently a member of the United States Air Force Band in San Antonio, TX. Michele completed her Bachelor’s Degree in Music Education at Ithaca College. Her performance career began in 2001 with the Air Force Band of Liberty based out of Hanscom Air Force Base, Massachusetts. After completion of active duty service, Michele continued her military service as principal clarinet and soloist for the Air National Guard Band of the Northeast while pursuing a Master’s Degree in performance at the New England Conservatory of Music. During her studies at the Conservatory, Michele retained a private studio of over 30 students, was actively involved in community outreach performances, and toured regularly with Air Force Bands across the country. Gabe Ferreira (BM 2017) is originally from Seattle, WA. Gabe has a wide range of experience performing as an orchestral musician in ensembles such as the Seattle Youth Symphony Orchestra, the New England Conservatory Symphony, Port Gardner Bay Chamber Orchestra, the Everett Symphony, and the Houston Symphony Orchestra. From 2010-2011 Gabe played second clarinet with the Washington-Idaho Symphony. Gabe attended the Marrowstone Music Festival 2007-2009, the Banff Centre 2010-2011 studying with Todd Palmer. Gabe has performed in masterclasses led by Mark Nuccio, Ralph Skiano, Todd Palmer, James Campbell, Michael Wayne and Sean Osborn. He recently published & co-edited three works of Edmond Avon for clarinet and piano for RM Publications now available online at thereedmachine.net as will be joining the United States Army Band in the Fall. 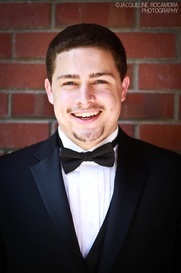 A native of South Florida, Robert Durie (MM 2017) graduated from the Interlochen Arts Academy before completing his BM in Clarinet Performance at the Florida State University under the guidance of Dr. Frank Kowalsky, Dr. Deborah Bish, and Dr. Jonathan Holden. Currently Robert Durie is instructor of clarinet at the Jim Henson Center for Visual & Performing Arts Academy at Northwestern High School in Hyattsville, Maryland. Robert has attended the National Music Festival for the 2015 & 2016 Seasons, the Miami Summer Music Festival in 2015, and in 2014 he participated in Chautauqua Institution’s Music School Festival Orchestra under the baton of Maestro Timothy Muffitt. Robert specializes in auxiliary clarinets such as Eb clarinet, Basset Horn, and Bass Clarinet. He has performed with the President's Own Band & Chamber Orchestra and as a substitute with the Chautauqua Symphony Orchestra. Emily Robinson (DMA 2016) studied with Paul Cigan. Originally from Des Moines, IA, Emily received her Bachelor of Music from DePaul University in Chicago, IL where she studied with Julie DeRoche and John Bruce Yeh. She began her Masters of Music at Indiana University-Bloomington, IN where she studied with Eli Eban. 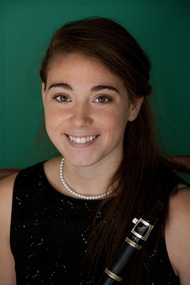 While at Indiana she was a finalist in the International Clarinet Association's Young Artist Competition and won a position with "The President's Own" United States Marine Band stationed in Washington, DC. After four years performing with the Marine Band across the US both as a soloist and as a member of the clarinet section, Emily continued pursuing her Masters degree at the University of Minnesota-Twin Cities, where she studied with Burt Hara. In 2011, Emily was awarded the UMD Wind Quintet Fellowship for 2011-2013 and began her DMA program in College Park, MD. Joseph Beverly (MM 2016) recently completed his Master's degree at the University of Maryland and received his BM in Clarinet Performance from the University of Georgia. He is a current member of The Florida Orchestra and an active chamber and orchestral musician. Also an active teacher, Joseph currently maintains his own private studio and teaches clarinet and bass clarinet. He has performed with the UGA Symphony Orchestra, Opera Orchestra and Wind Ensemble, the Gwinnett Symphony Orchestra, the Toccoa Symphony Orchestra, North Georgia Symphony Orchestra, and the University of Maryland Symphony Orchestra. Joseph performed Warren Barker's Concertino in the United States, Switzerland, Germany, England, and Austria with the Georgia Ambassadors of Music. He performed Aaron Copland’s Clarinet Concerto with the University of Georgia Symphony Orchestra in February 2014. Joseph attended the Clarinet Academy of America in 2011-2015 and also attended the Eastern Music Festival in the summers of 2013 and 2014, studying with Dr. Shannon Scott and Dr. Anthony Taylor. Recently, he attended the Madeline Island Chamber Music Festival, performing in the Etesian Woodwind Quintet. He has performed in masterclasses with Jon Manasse, Walter Seyfarth, Daniel Gilbert, Susan Warner, Mark Nuccio, and D. Ray McClellan, Joseph most recently studied with Robert DiLutis and worked as the clarinet studio graduate assistant. 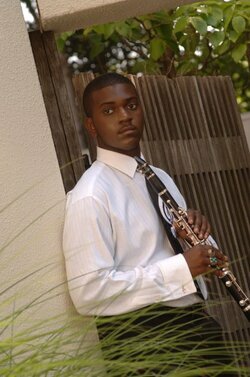 Joseph Beverly is now part of The Florida Orchestra as 3rd & Bass Clarinet. Tessa Gartin (MM 2015) received her Bachelor of Music in Music Education degree from Southern Methodist University. She studied clarinet with Paul Garner and has taken various lessons with Greg Raden, Dan Gilbert, Jonathan Gunn, and Ixi Chen. She has also studied additionally in various master classes, including Andre Moisan, Stanley Drucker and Yehuda Gilad. She has performed various times with the Southern Methodist Symphony Orchestra under the director of Dr. Paul Phillips and with the Southern Methodist Wind Ensemble under the director of Dr. Jack Delaney. Tessa did her student teaching at the award winning Marcus High School in Flower Mound, Texas, under the director of Amanda Drinkwater, Dominic Talanca and David Simon in the spring of 2013. While student teaching at Marcus, she also taught at Downing Middle School under the director of Mike Brown. Tessa completed her music performance studies with Robert DiLutis as a graduate student at the University of Maryland in the spring of 2015. She performed various times with the University of Maryland Symphony Orchestra under the director of James Ross and with the University of Maryland Wind Orchestra under the director of Dr. Michael Votta. Originally from San Antonio, Texas, Tessa made her way back to Texas to teach band to young students. Tessa is currently a band director with the Pearland Junior High East Band Program in Pearland, Texas (greater Houston area). She directs the Non-Varsity Symphonic Band and teaches the Alexander Middle School beginner clarinet and saxophone classes. Clarinetist Chung-ah Chin (DMA 2014) holds a Bachelor’s and Master’s degree from the Peabody Conservatory of Music where she was a merit scholarship and Cosimo C. Abato clarinet scholarship student. She also holds a Doctor of Musical Arts from the University of Maryland. She has participated and performed in the Nice Music Festival in France, the Orford Music Festival in Canada and the Fame Music Festival in Princeton, New Jersey. She also performed the Brahms Sonata No. 2 for the International Brahms Symposium at Shriver Hall in Baltimore. She has given numerous performances as a member of the Washington Korean Orchestra at both the Kennedy Center and the George Mason University Concert Hall in Washington, D.C. Chung-ah Chin is a first prize winner of the Baltimore Music Club competition and has performed as principal clarinetist with the Baltimore Sinfonietta, Peabody Symphony Orchestra and Peabody Conductor’s Orchestra. Her teachers include Dong Jin Kim, Edward Palanker, Steven Barta and David Jones. As principal clarinetist of the chamber ensemble at the Washington National Cathedral, she recorded Kleiberg’s Requiem. She also performed Weber’s Clarinet Concerto No. 2 with the Thames Philharmonia in London, England. She received her doctoral degree under Professor. Robert DiLutis at University of Maryland on May 2014. Chung-ah has recently given her solo recital at Kumho Art Hall in Seoul, Korea. She was also invited to perform in the International Clarinet Festival at Louisiana University. Chung-ah is currently a lecturer at Myong Ji College and Myong Ji University in South Korea. Caitlin Rowden (MM 2016) graduated from the University of North Texas in May 2014 with degrees in Music Education and Clarinet Performance. 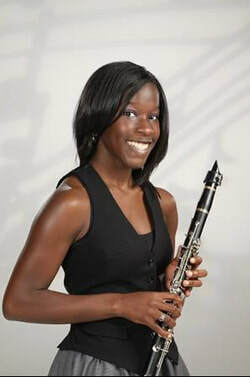 While there, she privately studied, taught, and performed on clarinet, oboe, flute, bassoon, and saxophone in the Dallas/Fort Worth, College Station, and Houston areas. Caitlin has studied under the tutelage of Deb Fabian, Mark Nuccio, Kim Cole, and Charles Veazey. She has taught privately at numerous schools, and completed her student teaching at Colleyville Heritage High School and Colleyville Middle School. Caitlin has taught marching band at Flower Mound High School, Rockwall Heath High School, and Richardson High School. Her performance experience ranges from wind band and orchestra to musical pits and jazz ensembles, most recently as a clarinetist in the University of North Texas Symphonic Band. She studied with Robert DiLutis as a Master of Music student at the University of Maryland, and teaches privately at the International School of Music in Bethesda, Maryland. Phylicia Cotton (BM 2016) studied with Robert DiLutis and David Jones. She previously studied with Karona Poindexter and has been playing the clarinet for 11 years. Aaron Logan (BM 2016) studied with Robert DiLutis, David Jones, Frank Hudson, and Chris Vadala. In the past, he has served as principal for the Catholic University Wind Ensemble and the Rockville Concert Band. He has been playing clarinet going on 9 years. Outside of clarinet, he is currently a computer technician intern at the U.S. Department of Agriculture, where he is tasked with maintaining all computers, portable devices, and networks for the National Agricultural Statistics Service (NASS) Division. Originally from New Jersey, Laura Guenzel (BM, BME 2016) plans to be a high school band director as well as a private clarinet instructor post-graduation. She studied with Robert DiLutis and David Jones and has studied with Sarah Bednarcik and Jesse Argenziano. Outside of music, Laura was enrolled in the Honors Humanities program at UMD, where she studies the human condition, with a focus on the humanistic application of fairy tales. 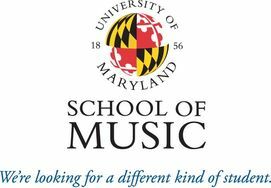 Nina Elhassan (MM 2015) recently completed her Master's Degree at the Unviersity of Maryland under the instruction of Robert DiLutis, and is formerly the clarinetist in District5, the University's Fellowship Wind Quintet. Before coming to Maryland, Nina received a Bachelor of Music degree and Performer’s Certificate from the Eastman School of Music under the tutelage of Jon Manasse. A fifth year of undergraduate study as a Take Five Scholar provided an opportunity to take a broad spectrum of courses on the self-designed topic of how humans process movement. She is currently a member of the United States Air Force Band in Colorado. Austin Hogan (MM 2015) has been an active solo and chamber musician in the Bay Area and the Central Valley of California, including solo appearances with the San Francisco Concerto Orchestra, College of Marin Symphony, and the University of the Pacific Symphony. Austin served as a woodwinds coach for the Central Valley Youth Orchestra and the Redwood High School Music Department. He was also involved in community outreach projects with the Stockton Symphony and the local Stockton community. His principal teachers include Robert DiLutis, Dr. Patricia Shands, and Luis Baez. 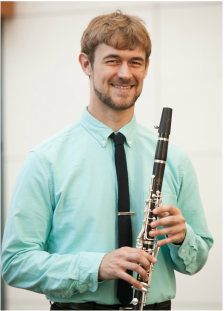 Austin received a bachelor’s of music in clarinet performance from the University of the Pacific, and recently completed a master’s degree at the University of Maryland. He worked in the engagement department at The Clarice Smith Performing Arts Center during his time at Maryland. He maintains a private teaching studio in Fort Wayne, Indiana. Airman First Class Alaina Pritz (MM 2013) is the principal clarinetist of the US Air Force Band of the Golden West, located at Travis Air Force Base, near San Francisco, Ca. She also performs as Eb clarinetist with the Wild West winds clarinet quartet, and in the band of the golden west ceremonial band. An active member in the San Francisco wind ensemble and clinician for the Fairfield-Suisun unified school district, Miss pritz is quickly becoming a sought after freelance musician and teacher in the bay area. Originally from Indianapolis, in, Miss Pritz holds degrees from the Eastman School of music (BM’07) and the University of Maryland (MM ’13). Her primary teachers include Robert DiLutis, Reis McCullough, Jon Manasse and Ken Grant. Miss Pritz enjoys playing indoor soccer in her local rec league, and visited Uganda earlier this year on an 11-day mission trip with her church to do humanitarian work with children.